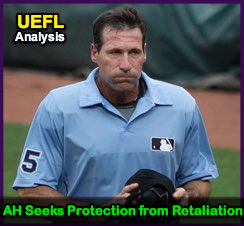 Fearing retaliation, umpire Angel Hernandez petitioned the US District Court for protection against retaliation and permission to speak out publicly about discrimination in baseball, charging that MLB's alleged wrongdoing ranges from racial and ethnic to gender discrimination, that it exists at all levels of baseball, and includes umpires, coaches, and players. Last time out, we found that the Hernandez v MLB lawsuit had slowed, noting that it might make sense from MLB's perspective to stall the suit, but that Hernandez had no such timing motivation. This week, we found out why the suit cooled off, and why it might just as quickly heat back up again: Angel has things to say in opposition to discrimination, but is concerned that if he speaks up, MLB will retaliate against him. He wants the Court to get involved to make sure that doesn't happen and that MLB plays by the rules of the Equal Employment Opportunity Commission and Title VII of the Civil Rights Act of 1964, which outlaw discrimination and protect employees who speak out about oppression, and which Hernandez wants applied to MLB. Related Post: Pace of Play in Hernandez-MLB Lawsuit Slows to Crawl (3/5/19). Hernandez submitted a memorandum and Motion on March 19, 2019, asking that the court protect him against retaliation or retribution at the hands of the MLB Commissioner's Office or otherwise, based on federal law that Hernandez believes protects his right to speak freely about discrimination so that it can be identified and eliminated, in the best interests of baseball. 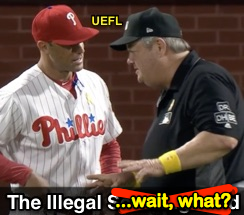 MLB responded in opposition on March 21. A Hernandez attorney purportedly attempted to secure MLB's guarantee of a protection from retaliation in July 2017, but the league demurred, eventually leading to the present Motion. Gil's Call: As we discussed in our Podcast earlier this month, MLB's treatment of Hernandez on the field—namely allowing players, coaches, or managers to continually abuse him without adequate reprimand or discipline—appeared perplexing. Given Hernandez's Motion, it suggests a more sinister motive. Related Post: Podcast - Episode 11 - Angel, AJ, and Umpire Futures (3/18/19). Is an inadequate response de facto retaliation? Hernandez's team wrote that MLB's purported defense against Hernandez's discrimination charge relative to the Crew Chief allegation is that there were "no qualified minority candidates." Hernandez cited himself and Kerwin Danley as among the most senior umpires on staff who are not crew chiefs. If Hernandez's characterization of MLB's defense is accurate, Hernandez's suit picks up steam. We ran the numbers in 2018 and discovered that Hernandez's stats do indeed support the argument that he is qualified to be a crew chief. If, as Hernandez alleges, MLB holds that no minority candidate is qualified for the job, the numbers might not back up the League's purported stance. Related Post: Hernandez's Lawsuit Seeks Replay - A Review of Our Stats (12/4/18). Related Post: Running the Numbers for MLB's Next Crew Chief (1/12/18). Hernandez declared his belief that MLB also discriminates against minority managers and coaches, and wrote that he would not make any public statements while on the field serving as an umpire, and that making public statements would not disrupt his job duties. Nonetheless, he seeks the court's blessing to speak publicly because of the great extent to which MLB may be capable of retaliation. He presented as evidence the MLB Constitution and expressed grave concern regarding the Commissioner's ability to punish anyone who is critical of MLB or of the Commissioner's conduct based on the document's "best interests of baseball" clause that is subject to Commissioner interpretation. Is it really in the "best interests of baseball" to allow continued harassment of Hernandez? Hernandez believes that many in baseball as MLB or club employees have refrained from publicly speaking about discrimination in the game due to this very "best interests of baseball" clause. Hernandez included a list of 27 items he wishes to speak publicly about, and additionally affirmed his belief that MLB has discriminated against others, in addition to himself, on the basis of their race, ethnicity, or gender. But before you think this is an overraction, consider the cases of others who have come forward with claims of discrimination against MLB or one of its clubs. Lorena Martin accused SEA of discrimination. 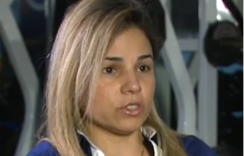 Former Seattle Mariners employee Dr. Lorena Martin sued the club, alleging in a wrongful termination claim that the team discriminated against her, writing on twitter that "this is how the Seattle Mariners treat people of color." Martin also claimed that Mariners leadership called Latino people "LAZY, DUMB, and STUPID, especially the DOMINICANS." The Mariners claimed Martin "created a hostile work environment." In February, MLB concluded that no credible evidence existed to support Martin's allegations of discrimination. She no longer works in professional baseball. Nick alleged misconduct in military matters. 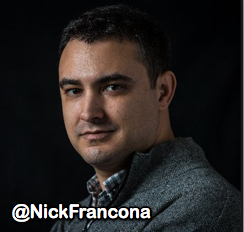 In 2017, Nick Francona told MLB he believed the Dodgers discriminated against him because of his association with Home Base, which is a veteran and family care organization in Boston, in seeking treatment for effects sustained during his military service. Francona believed that two years after poaching him to work for their organization, the Los Angeles club pushed him out of his role due to seeking an assessment with the veterans' mental health organization. Francona wrote that Dodgers CEO Stan Kasten made accusations to MLB officials concerning Francona that were "quickly proven false" and that the league never reprimanded Kasten: "The Commissioner should be held accountable for explaining why he thinks these behaviors are acceptable." Francona saved his greatest ire for Kapler. After former Dodgers Director of Player Development and current Phillies Manager Gabe Kapler fired him from LA, he broke news of a 2015 Spring Training incident in which Kapler allegedly attempted to arrange a dinner between an underage girl and Dodgers players. According to a Sports Illustrated report, the girl later claimed one of the Dodgers players sexually assaulted her, and the incident remained a well-kept secret until Francona's decision to go public. (The SI article also discusses a second 2015 incident involving a Dodgers minor leaguer and assault of a housekeeping staffer). Kapler allegedly wrote, "this was an isolated incident," while a Dodgers scout allegedly wrote to Francona, "We definitely have at least 2/3 rapists on [the Dodgers' Dominican Summer League team]." 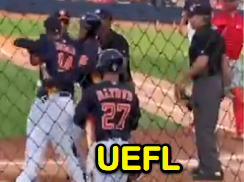 Nick Francona blew a whistle on the Dodgers. Because things happen in threes, multiple Dodgers were accused of "stalking...and behaving strangely" during Spring 2016. In 2018, Francona, now with the Mets, was fired after he repeatedly asked MLB where profits from military-themed apparel worn on Memorial Day actually go. Francona claims MLB failed to adequately respond to his continued inquiries. Francona has since gone on to publicly criticize the league on this and other issues, including minor league pay. Team USA women's baseball player Emily Tsujikawa recently said, "It just doesn't seem like there are a lot of options available as a woman in the sport. Not because we're not good enough, but because of discrimination." In November 2018, a former Minnesota Twins scout sued the team, alleging age discrimination. In August 2018, the Japanese American Citizens League (JACL) called on MLB to address "anti-Asian attitudes" in baseball culture and MLB Network. The same year, MLB—the league itself—gave $5,000 to Mississippi senate candidate Cindy Hyde-Smith, who was accused of racism. And then there's the longstanding "Chief Wahoo" discrimination claim against Terry Francona (Nick's father)'s employer, the Cleveland Indians. The purpose of the aforementioned tales—especially those of Martin and of Nick Francona—is to explain what happens when retaliation manifests, and why Hernandez has felt compelled to file a Motion with the US District Court for Southern NY seeking protection against such retaliation. The various accounts also may illustrate why MLB might be so opposed to having Hernandez speak openly about discrimination in baseball.